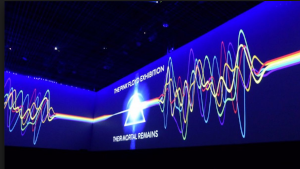 Lucky Frog were delighted to be approached by long-time Pink Floyd creative collaborator Aubrey ‘Po’ Powell to assist on the Performance Zone of the acclaimed Pink Floyd retrospective at the V & A. Working alongside Po, Nick Levitt, Stu-fish, LarMac Live, Media Powerhouse, Sennheiser and ER Productions amongst others, we were instrumental in the design and implementation of the Performance Zone – a 360-degree experience featuring screens, lighting, lasers and immersive audio. 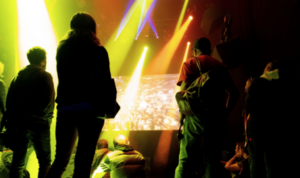 Richard Turner designed and specified the layout and screens and Lucky Frog asked Pryd Baskerville to design the lighting and ER Productions to add the lasers. Bobby Aitken designed the audio. 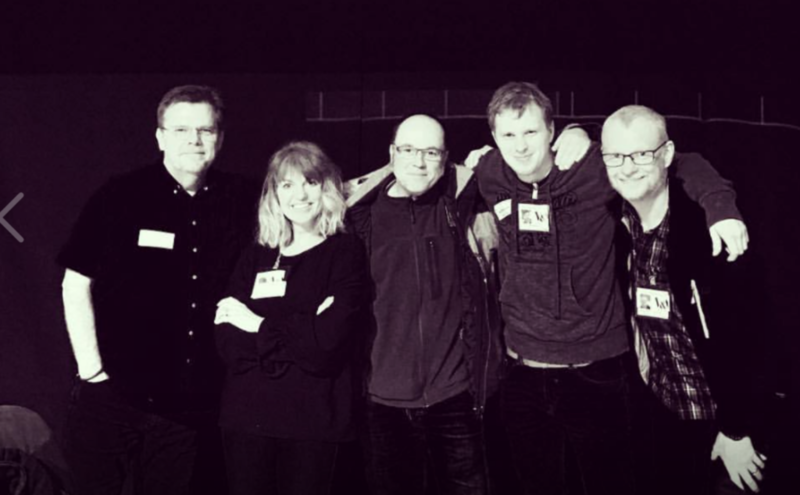 The Performance Zone experience – content produced by Lucky Frog’s Beki Gaskin – was a loop of video tracks linked by a virtual ‘Art Gallery’ The Gallery featured both images from the first shoot of the band taken in the late 1960s alongside photographs from the last ever performance of the original band members at Live 8. The Gallery linked the two video performances – one from 1967 and the second in 2005. The first video experience transported the viewer to the UFO club in London’s Tottenham Court Road and featured the black and white 1967 promo video of ‘Arnold Laine’. Under Lucky frog’s direction this became a full-on, full colour, psychedelic experience. Arguably the high point of the show – was an immersive multi-screen live version of Comfortably Numb filmed at Live 8 in 2005. The footage was edited into four separate, simultaneous cuts by Laurence ‘Benny’ Trickett which were then projected onto the four walls of the venue and enhanced by lighting, lasers and the innovative AMBEO 3D Audio Technology developed by Sennheiser and implemented by sound engineers Andy Jackson, Simon Rhodes and producer Simon Franglen. Both a critical and popular success, ‘Their Mortal Remains’ will now move around the Globe and is expected to run for 10 years.